The title is You Have Seen Their Faces," said Skinny. "How do you like it?" The name implied just what I had been searching for as I worked. 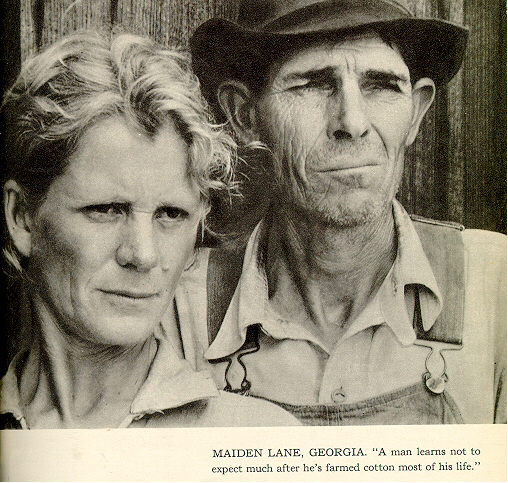 Travelling across the American South with writer Erskine Caldwell (Tobacco Road) between 1935 and 1937, Margaret Bourke-White photographed the people of the Depression. 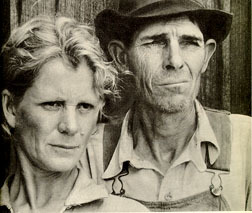 Of course she was not the only photographer to document the Great Depression-there were other big names, like Dorothea Lange, Walker Evans, Russell Lee; there were Ben Shahn, Marion Post Wolcott, Arthur Rothstein, and others, as well as countless uncredited Farm Security Administration photographers. Their images remain powerfully with us still. These images define the Great Depression. Why are there so many photographs of the depression, and why are they so defining? Who was Margaret Bourke-White? And what is distinctive about the ways in which she photographed the Depression? How did she define "the face that would speak out the message from the printed page," the representative American?